A pizza chain with a local feel. Whether you find yourself in a full location or just a small lunch-style location, you won’t leave disappointed. 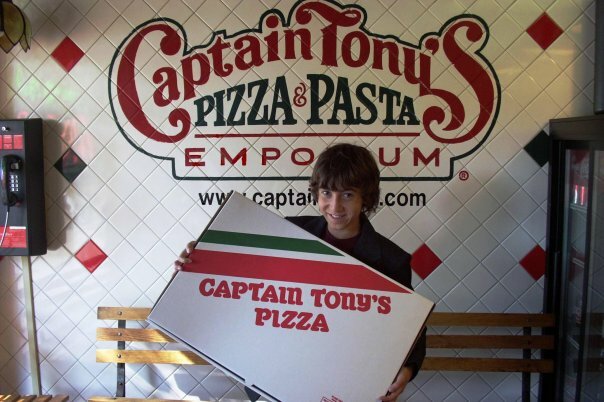 Captain Tony’s has eight locations – two in Cleveland, two in California, two in England, and one in Arizona. While this is a chain style restaurant, it still feels like a homey, one-spot operation. It has the touch of a family business with the amenities of a larger chain. If you are in the downtown Cleveland area, the location you will want to stop in at the East 9th Street location for lunch. Due to the fact that it is housed in the business district, the hours are a bit limited (Monday through Friday 11 am – 3:30 pm). The hours are the only downside of this spot. 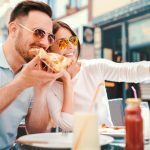 It has a great selection of pizza and salads, all of which can be combined into one of their multiple lunch specials at a reasonable price. The location is a smaller spot that offers charm and utility. With a long bar across the windows, you will be able to eat your pizza while you watch the world go by. Alternatively, you can sit outside at one of the picnic tables the restaurant provides. “Captains Classic” (tomato sauce, mozzarella/provolone, pepperoni, Italian sausage, mushrooms, green peppers, and onion) are all crowd-pleasers. 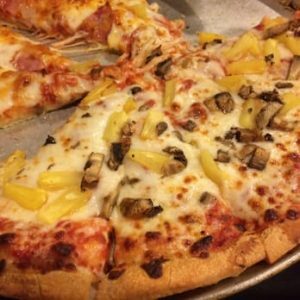 All pizzas are available in the following sizes: cafe 10” (6 cut) for $8.99, Medium 12” (8 cut) for $13.99, Large 14” (10 cut) for $15.99, Extra Large 16” (12 cut) for $17.99. If you are feeling something a little more extravagant, try one of their authentic Chicago style stuffed deep dish pizzas for $34.99! In true Chicago style fashion, these pies take about 45 minutes to bake so be sure to order ahead of time. This pie is stuffed with pepperoni and sausage and comes in a 12” (8 cut) size. Or if all of that seems just a bit much, you can design your own pizza! You can choose from the same sizes mentioned earlier and then pay by the topping. For the 10” it is $1/topping, the 12” is $1.50/topping, the 14” is $2/topping, and the 16” is $2.50/topping. Overall, this is one of Cleveland’s best pizza + pasta joints, and it’s not hard to see why. From the large selection and convenient downtown location, it’s perfect for a pick-me-up lunch. Stop in next time you need to get out of the office on your break! Stop in at the downtown location at 1405 E 9th St, Cleveland, OH 44114. Call the restaurant at: (216) 781-8669 or visit their website. Don’t miss our Restaurants Cleveland Ohio resource.